The National Day of Prayer in Macon has a strong history dating back to late 1970s. Four godly gentlemen started the Here’s Life, Macon organization under which three different ministries came into being—the Nat’l. Day of Prayer Annual Observance and two monthly prayer opportunities. These three ministries still are vibrant today, carefully operating on donations from individuals and businesses and trusting God for His supply to meet financial needs. The Second Wednesday of every month citizens have the opportunity to meet and pray for elected and appointed government officials. The 4th Thursday of every month pastors have the opportunity to meet for lunch and to pray together. 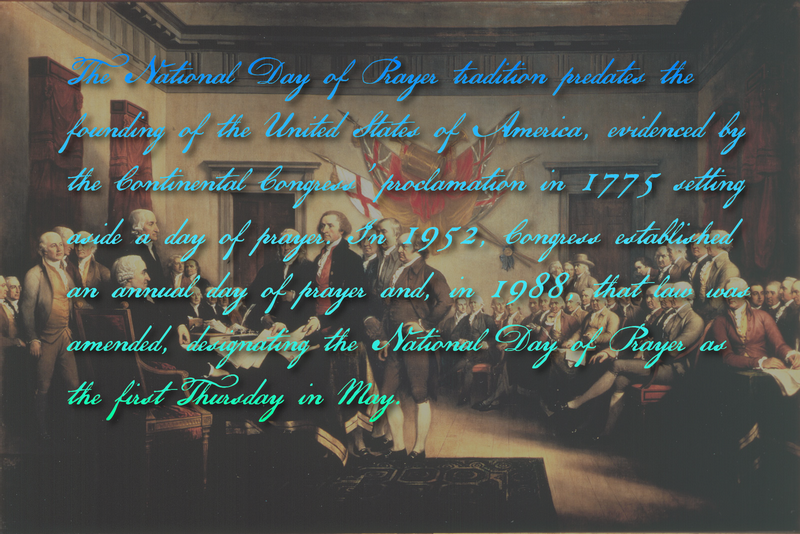 On the First Thursday of every May, the National Day of Prayer (NDP) takes place across America, and millions of Americans at hundreds of thousands of public events come together for prayer’s power! The Theme and National Prayer each year are from the Colorado-based National NDP Task Force. Communities large and small, flowing from one coast to the other, join in the unity of God’s people and acknowledge His dominion over the circumstances facing us. The Macon National Day of Prayer Committee, all volunteers, plans for months to put on Macon area events with the goals of bringing glory to God and pointing us all to prayer’s power and importance. Most years there have been two events, a Prayer Breakfast with a program and speaker and a Midday Rally in front of a representative seat of government with a shorter program for lunch time attendance and where the Mayor’s Proclamation for NDP is presented. When the next NDP’s Events Flier is on our local website, it will have complete details. Printing copies from our website for handing out, posting, and sharing to inform about NDP is encouraged! Promoting attendance at the NDP public events demonstrates, with people’s actual physical presence, the great significance and strong might of prayer!